Increasingly dynamic, complex and unpredictable economic circumstances require continuous and systematic re-evaluations of business strategies and plans and coherent and effective strategy implementation. Adopting the Resource Based View theoretical framework this chapter is aimed at shedding light on the role of human capital in the strategic change process. Specifically, by adopting the case study methodology the chapter points out the relevance and critical nature of human capital in the complex process that has driven Fiat's competitive and financial turnaround since 2008. Through the lens of Fiat's case, the article contributes both from an academic and a practitioner point of view, to shed light on the relevance of human capital in organizational attitude change, strategy formulation, choices implementation, and more in general, in Fiat's business model re-definition. The chapter ends with case questions. In contexts of great dynamism, complexity and unpredictability, strategy is more and more focused on foreseeing and designing new options for the future rather than on planning and programs (Grant, 2010). Volatile and competitive circumstances require systematic and continuous re-definition of selected development pathways and re-evaluation of strategies and plans. Today many companies struggle to survive, not because they act erroneously, but because they are unable to adapt to changing circumstances, continue doing what used to be “the right thing” and are victims of strategic inertia (Doz & Kosonen, 2008; Rumelt, 1995a). The capability to address discontinuities and technological disruptions and constantly renew business models (Chesbrough, 2010; Ghaziani & Ventresca, 2005; Zott, Amit, & Massa, 2011) is now essential. In this context, strategies revolve around continuous and systematic strategy assessment, re-definition, and effective implementation. As highlighted by Aaltonen and Ikavalko (2002), without coherent and effective implementation even the most excellent strategy is useless. Strategy implementation is as critical as its formulation and development (Atkinson, 2006; Higgins, 2005; Kaplan & Norton, 2001). Only if strategy formulation and implementation go at the same pace firms can achieve sustainable competitive advantage (Biglar, 2001). Identifying the main sources of superior strategic formulation and effective strategic implementation has become imperative for organizations in the contemporary business scenario. These sources are mainly embedded in human capital (Peteraf, 1993; Pfeffer, 1995; Pfeffer & Sutton, 1999). 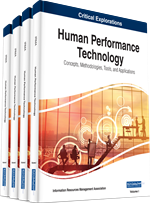 Human capital can be viewed as one of the most valuable intangible resources for the organization, as the originator and the carrier of optimal strategic design and implementation effectiveness (Hitt, Biemant, Shimizu, & Kochhar, 2001; Yang & Lin, 2009). Since the 1990s, the issue of human capital has gained momentum within the strategic management field (Kaplan & Norton, 2005; Lev, 2001; Peteraf, 1993) and various scholars consider it to be a critical ingredient for gaining competitive advantage and a possible answer to one of the most debated questions in strategic management: why do firms vary in performance? (Grant, 1996). The aim of this chapter is to highlight the importance of human capital in strategic formulation and implementation. Specifically, we adopt Fiat as a case study to point out the relevance and critical nature of human capital in the complex process that has driven Fiat’s remarkable competitive and financial turnaround since 2008. The case-study methodology (Berg, 2009; Eisenhardt, 1989; Yin, 1984) was chosen for its usefulness in assessing qualitative characteristics in organizational settings and in corporate strategy. The choice of Fiat as the case study is motivated by the importance that Fiat had and still has in the Italian economic context and by the dramatic relevance of its turnaround process. The chapter begins with a brief review of the theoretical background that frames our study. This is followed by a description of the set of strategic choices and actions that drove the FIAT turnaround in the last decades. Then the role of human capital in the turnaround process is explored. Finally, conclusions will be drawn and the implications of the findings of this research for managers and scholars will be set out.